Many of us look to celebrities for the current fashion styles, trends, and we follow their latest works closely. But what rarely makes it to the headlines is that certain celebrities also demonstrate kindness and affection that we can be inspired by. Some of them shun buying pups and instead rescue and adopt dogs, giving them a forever home. Pop singer Selena Gomez adopted a husky mix dog and named him Baylor. The adorable dog is her 6th rescue pup! Hollywood actor Jake Gyllenhaal also has a couple of rescue dogs of his own. He named them Boo Radley and Atticus, after the iconic characters from Harper Lee’s To Kill A Mockingbird. New Girl actress Zooey Deschanel adopted two barking buddies. She first saw Dot, and instantly fell in love. But when she found out that Dot had a sister, Zelda, Zooey decided to adopt both! 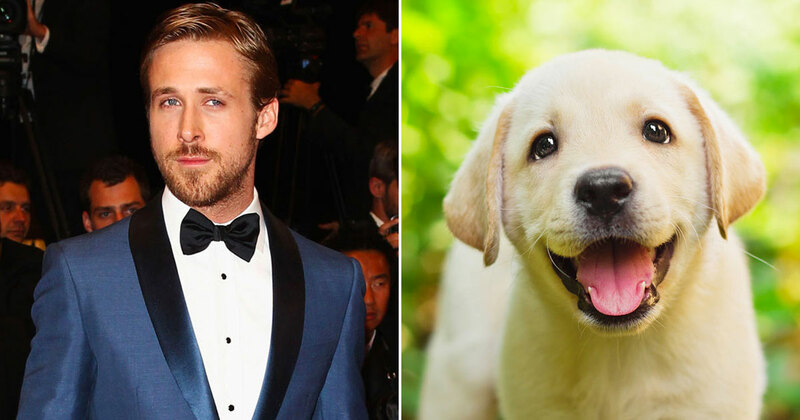 In this quiz, all you have to do is rate some handsome celebrities! Based on your opinions of these cute guys, we’ll suggest a cute dog that will be perfect for you to adopt. How would you rate Chadwick Boseman? What do you think of Jamie Dornan? Tell us how you feel about Will Smith! Are you a fan of Chris Martin? How gorgeous is Ian Somerhalder? How much do you love Oscar Isaac? Do you love Gerard Butler? Are you a fan of Sebastian Stan? What do you think of Ryan Reynolds? How handsome is Rami Malek? Do you love Matt Bomer? How much do you love Mark Consuelos? What's your opinion on Milo Ventimiglia? What do you think of Matt Damon? Can You Listen And Match The Theme Song To The 1950s TV Show?